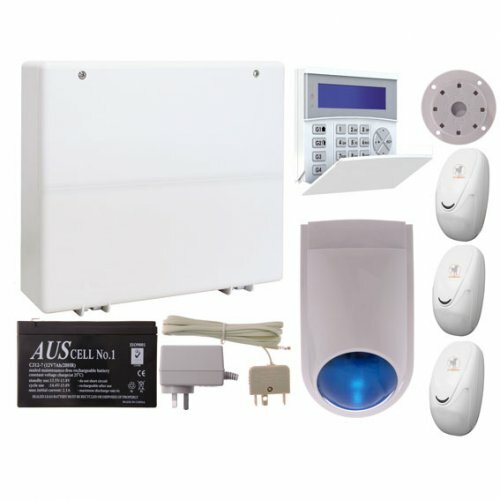 In this day and age there is a greater need for home security, no matter what suburb you live in you're never quite sure when your home will be targeted. Using the current state of the art technology Cameron Stewart security can offer you a plan best suited to you. Whether you're after protection for your home, business or even warehouse we have alarm systems which will ensure you're protected giving only access to who you want to have access, giving you peace of mind when you're away from your home or business. AMC LCD back-light remote keypad displays 32 characters on two lines. Compatible with 'K' and 'X' series. Programmable keys for quick commands. Dimensions: 86 (W) x 114 (H) x 23 mm (D). Addresses adjustable from the menu without the use of mechanical dip-switches. Buzzer for sounder input and output time. Enable / disable switch tamper from menu. Green LED on: system ready (all areas closed). Yellow LED on: new event to be read in event log. Red LED on: control unit activated. Compact combination siren/strobe for alarm use or audio-visual warning. Can be mounted on standard size GPO plate or surface mount. Dimensions: 74 (W) x 121 (H) x 48 mm (D). The AMC X824 series of control panels and accessories enables installers and end users to benefit from a wide range of products and features suited to both wired and wireless input applications. The control panel has audio support on board and is equipped of 8/32 zones, expandable to 16/64. It is possible to obtain more zones by doubling EOL split line (X412-X824). The panel can be controlled by new App AMC MANAGER (iOS / Android) with IP module and/or GPRS / 3G module. The programming can be made with keypad and/or PC software. The programming with software can be made remotely with IP module and/or GPRS / 3G module. 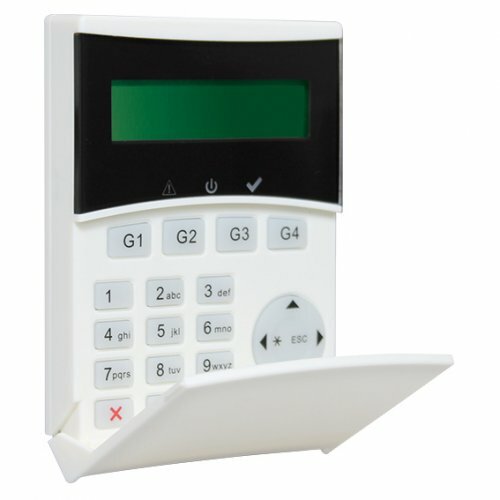 The X824 series offers incredible value for money and comprehensive solutions to today's security problems. 8 - 32 wired zones. 5 on board outputs - expandable to 8 (with expansions and keypads). 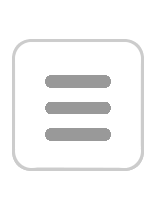 Easy rolling menu for fast programming on the KLCD Blue keypad. 4 true partitioned areas with separate arming. Automatic arm/disarm and output activation. 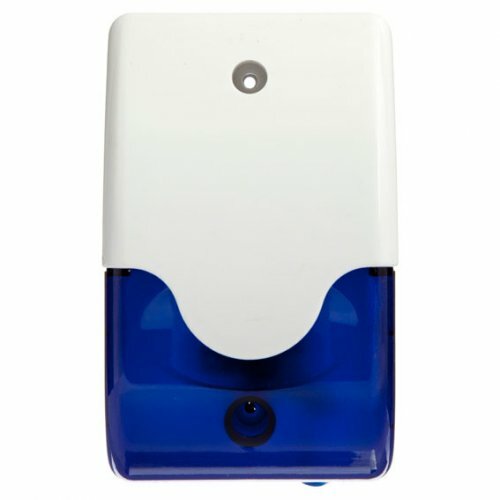 Access control capabilities with hardwired readers. User friendly programming and operation.